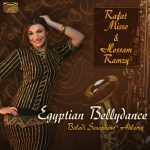 By popular demand and following on from Hossam’s first two hugely successful “Best of…” albums, here are over 1 hour of the newest favourites of Oriental dance music, some of them re-mastered and shortened to represent today’s trend to shorter pieces. Artist bio and info about each of the pieces in English and German. Total playing time: 73:58 min. 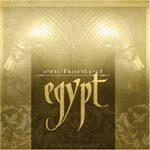 By popular demand and following on from Hossam’s first two hugely successful “Best of…” albums, here are over 1 hour of the newest favorites of Oriental dance music, some of them re-mastered and shortened to represent today’s trend to shorter pieces. Artist bio and info about each of the pieces in English and German. Total playing time: 73:58 min. • Playing Time: 73:58 min.